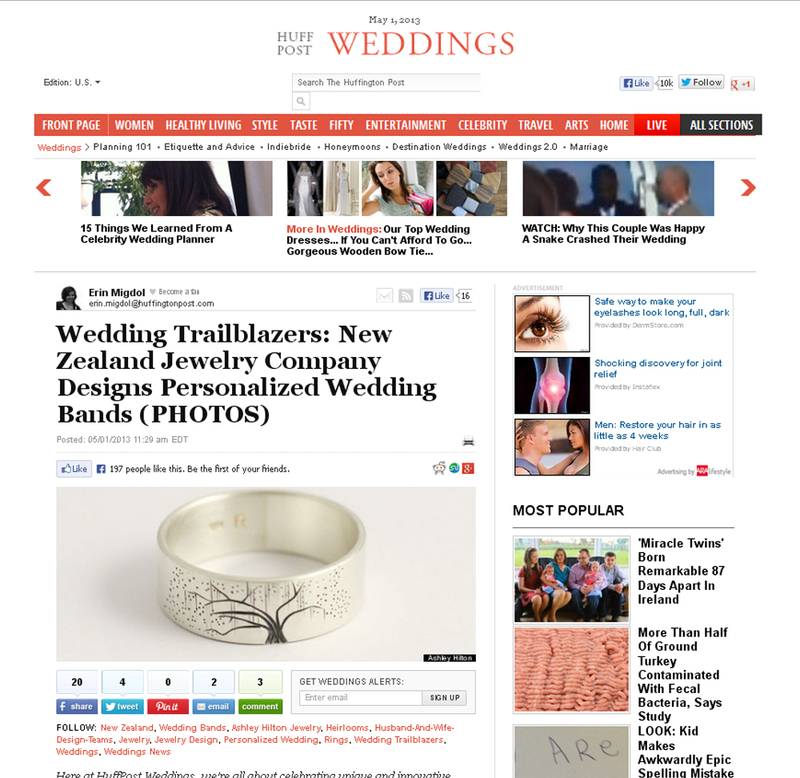 Featured on Huffington Post Weddings with Ashley Hilton Jewellery! Just before the start of the New Year, I was approached by Ash and Laurel of Ashley Hilton Jewellery to use one of my Oak Tree Drawings on a sample wedding band. I’m always thrilled to work with other Etsy sellers, and I promptly agreed. 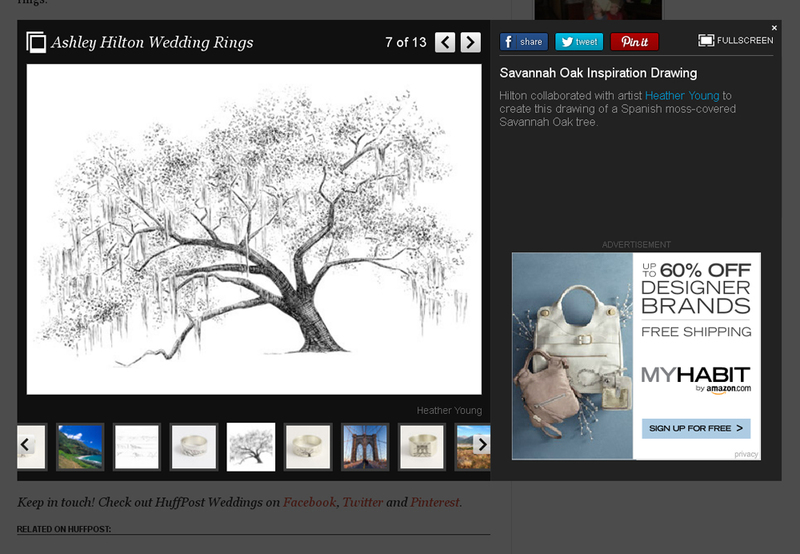 I could not have been happier with their translation of my drawing, except to find out that others wanted their very own Spanish Moss draped rings AND to hear that it was featured on Huff Post Weddings, May 1st! What a way to start the month! Their jewelry can be customized with your favorite tree, landscape, etc. Pieces can be designed with gem stones and a variety of metals, to suit any budget or style. Here’s a link to the Savannah Live Oak band, if you’d like one for yourself! Thanks for finding me Ash and Laurel! It’s been a pleasure working with you from half way around the globe!